We are thrilled to once again return to the Phoenix Art Museum, on Friday, January 19th, to celebrate our annual Dance With Me Gala. It is a beautiful evening filled with dinner, dancing, and a live performance. Proceeds from our gala benefit everything about Ballet Arizona: from our free and low-cost educational programming – including our beloved Ballet Under the Stars, to The School of Ballet Arizona, to all of the wonderful productions our Company puts on each and every season. 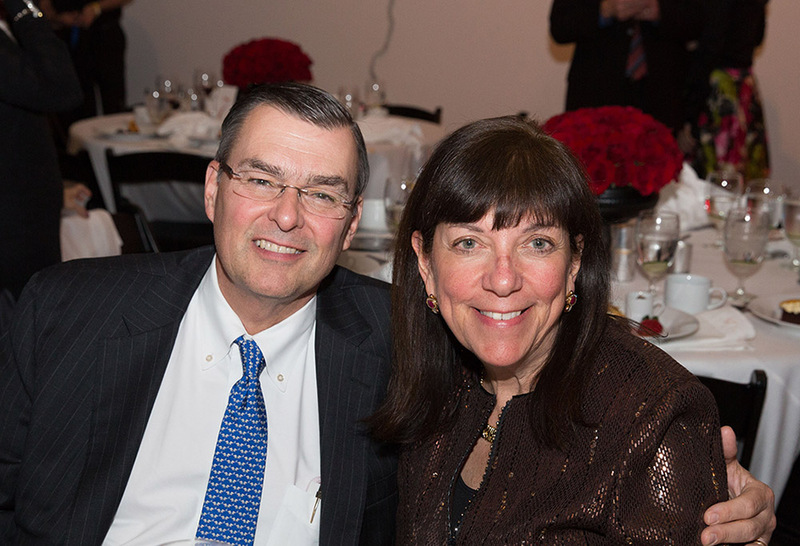 It is also an opportunity for us to honor two incredible individuals, Rose and Harry Papp. Not only are they long-time supporters of Ballet Arizona but they have been integral to the development and advancement of the arts in Phoenix since 1981. Rose, a past board member for Ballet Arizona, currently serves on the Board of Directors of The Flinn Foundation, and the Board of Trustees for the the Phoenix Art Museum and the Desert Botanical Garden. Harry is a current and longtime Trustee of The Phoenix Zoo, President of the Arizona Five Arts, and serves on the planned giving committees for Ballet Arizona, Desert Botanical Garden, and The Phoenix Art Museum. This is only a brief look at the leadership and dedication they have provided to our community, their reach and generosity extends beyond the arts. Rose & Harry Papp at Ballet Arizona’s 2017 Dance With Me Gala. Photo by Haute Photography. Join us as we celebrate and recognize two extraordinary individuals for their dedication to the arts and Ballet Arizona. Rose and Harry, we thank you! Bravo to all of the people who have worked so hard to put together what is sure to be a memorable evening! Can’t wait!